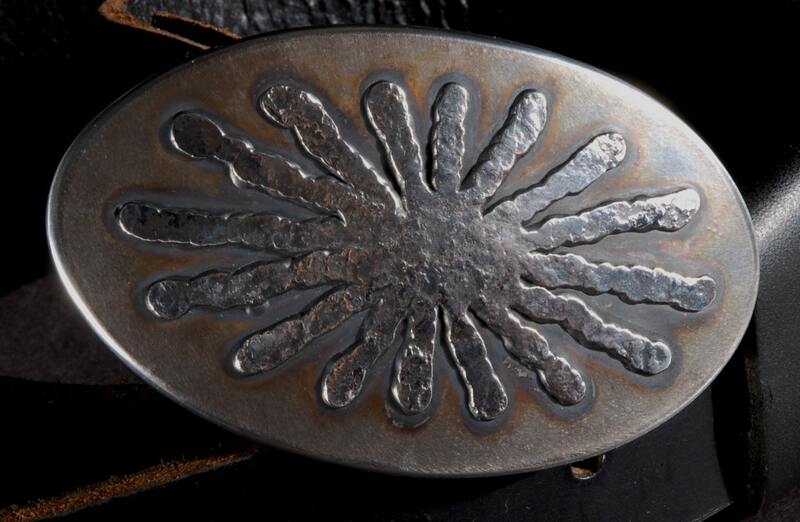 This all stainless steel, belt buckle is silver/bronze colour and has a silver stainless steel starburst in the centre. 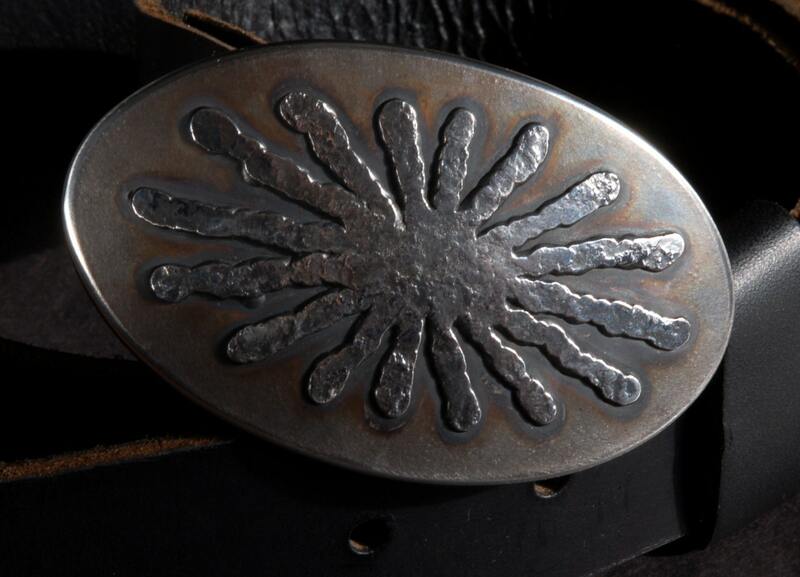 Sunburst may vary as each buckle design is unique. 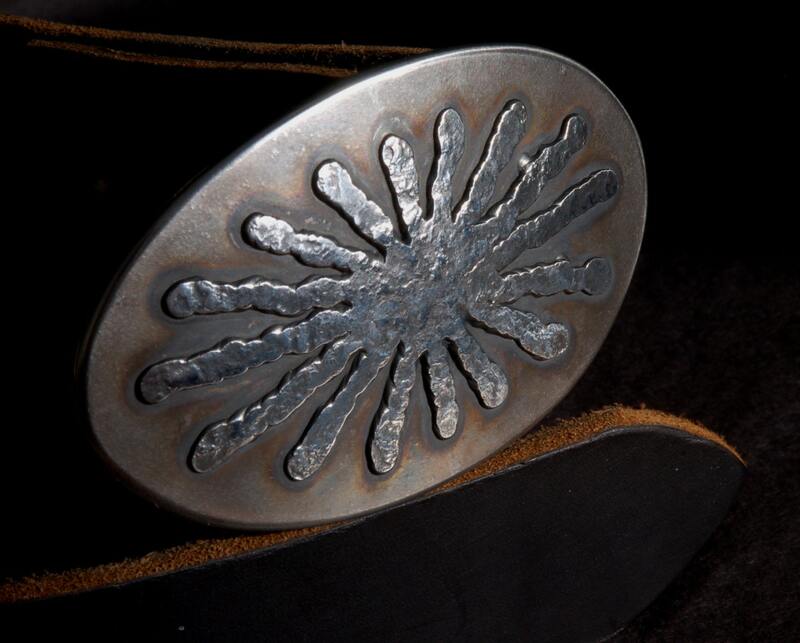 Buckle is heat treated to get colours. 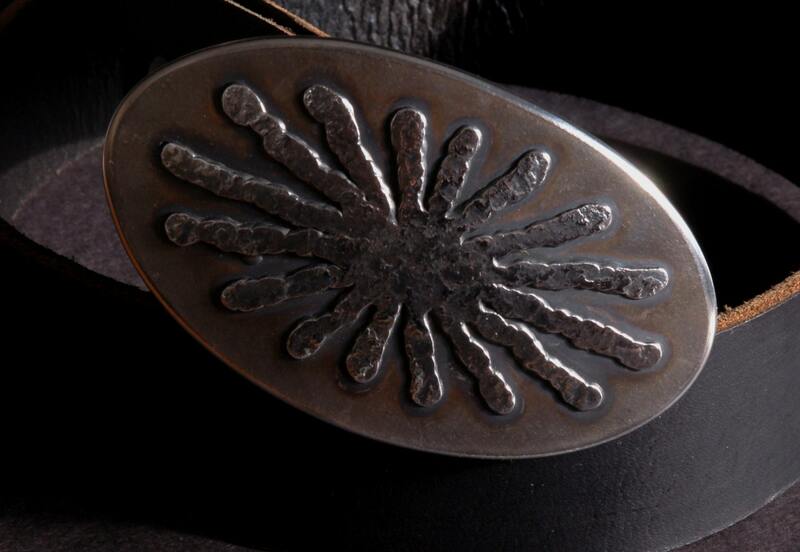 Buckle measures approx 3-1/2" x 2-1/8" and will accept a 1-1/2" leather belt. Belts will be custom cut to your size. All we need is your waist measurement. 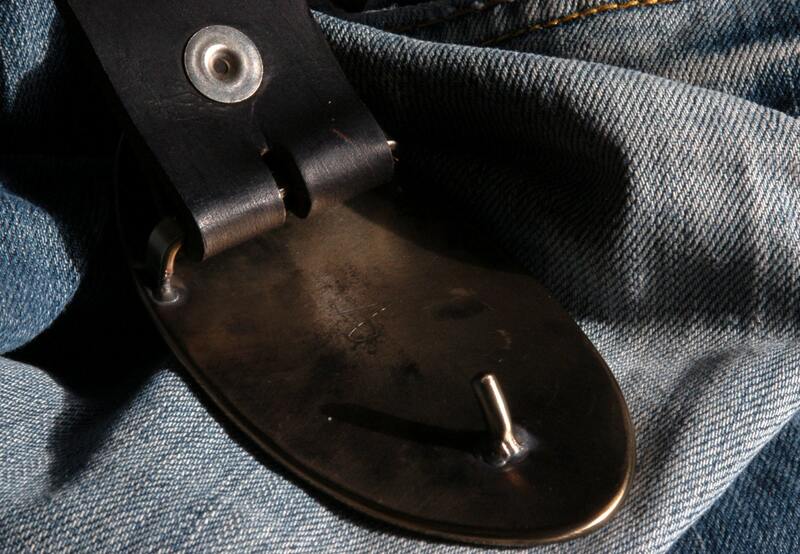 When ordering belts, please provide your waist size or the measurement of your existing belt from the foldover(where the buckle attaches to the belt) to the hole you use most. Please let us know which method of measure you are sending-Waist or Existing Belt.